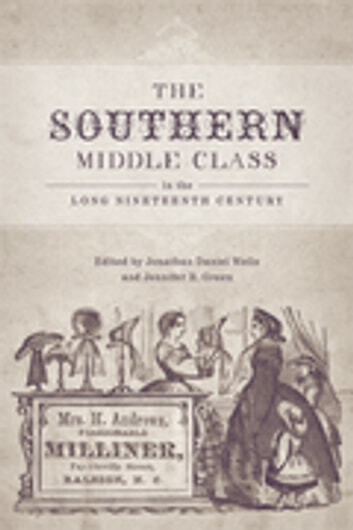 Jonathan Daniel Wells and Jennifer R. Green provide a series of provocative essays reflecting innovative, original research on professional and commercial interests in the nineteenth-century South, a place often seen as being composed of just two classes -- planters and slaves. Rather, an active middle class, made up of men and women devoted to the cultural and economic modernization of Dixie, worked with each other -- and occasionally their northern counterparts -- to bring reforms to the region. With a balance of established and younger authors, of antebellum and postbellum analyses, and of narrative and quantitative methodologies, these essays offer new ways to think about politics, society, gender, and culture during this exciting era of southern history. The contributors show that many like-minded southerners sought to create a "New South" with a society similar to that of the North. They supported the creation of public schools and an end to dueling, but less progressive reform was also endorsed, such as building factories using slave labor rather than white wage earners. 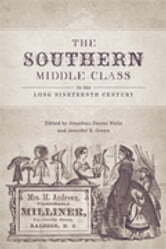 The Southern Middle Class in the Long Nineteenth Century significantly influences thought on the social structure of the South, the centrality of class in history, and the events prior to and after the Civil War.